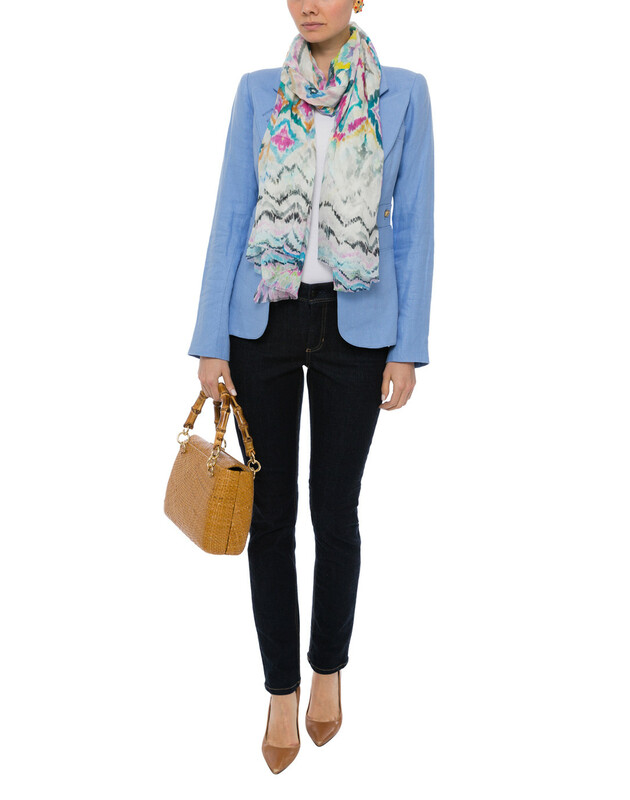 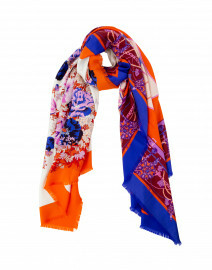 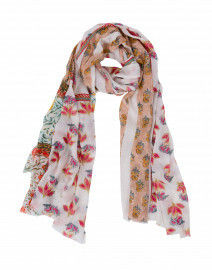 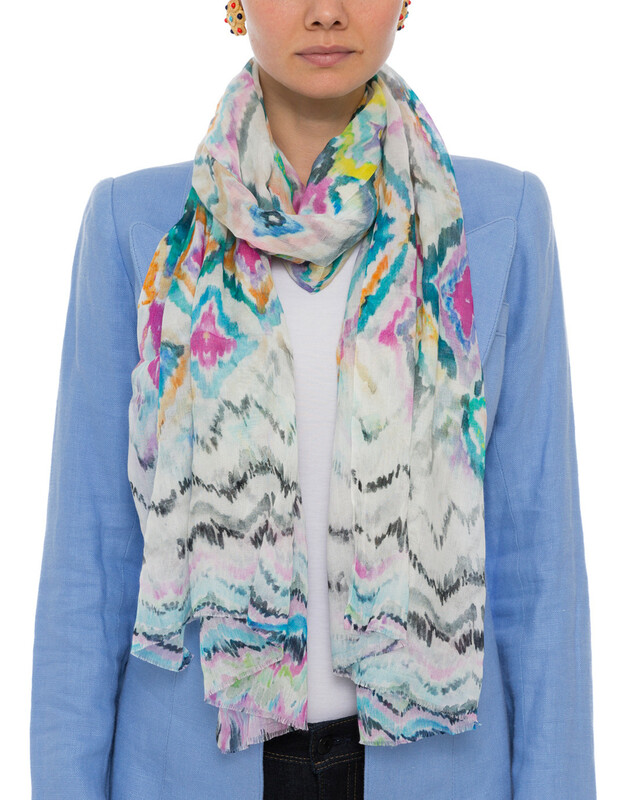 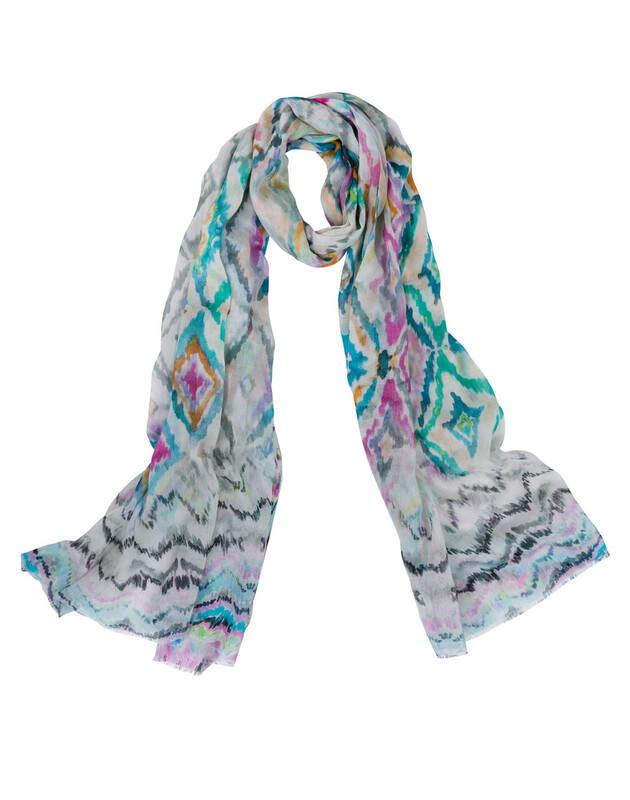 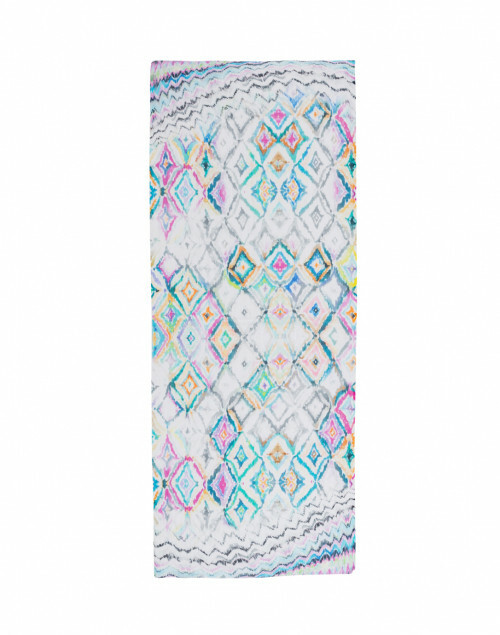 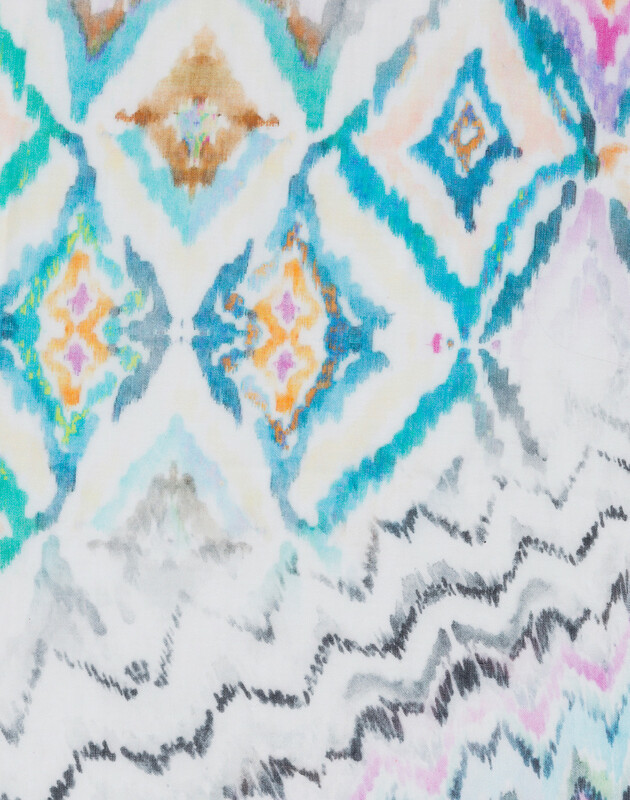 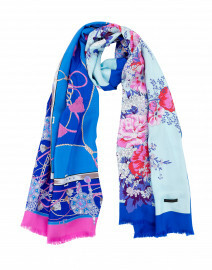 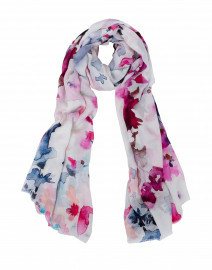 This scarf by Tilo features a vibrant multicolor pattern and is sure to be a playful addition to any outfit. 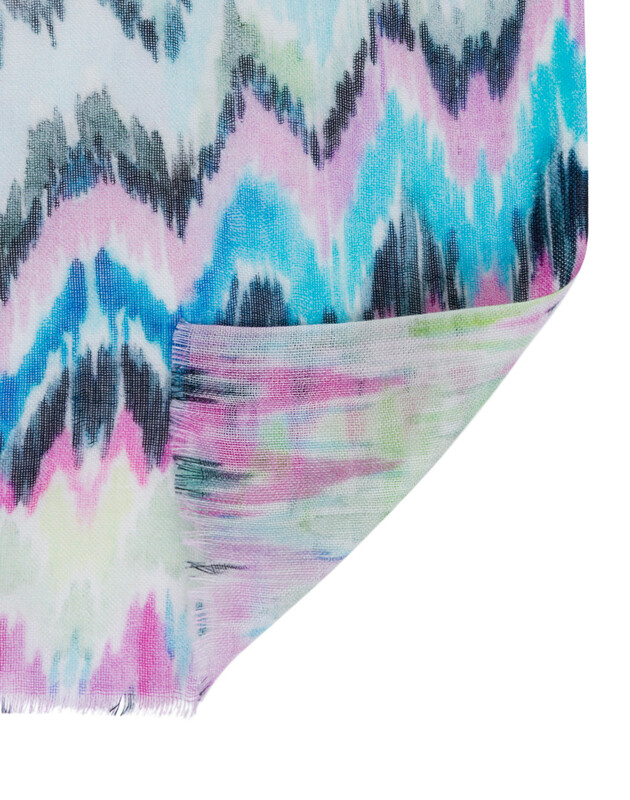 It is made from a sumptuously soft combination of modal and cotton with a eyelash fringe trim. 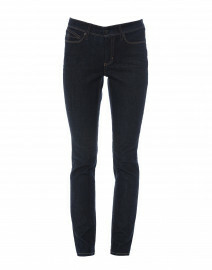 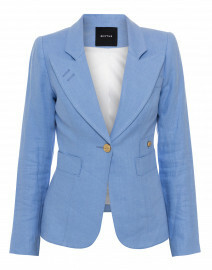 Pair with a blue blazer for a chic workwear look.